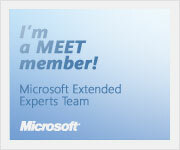 Microsoft Visual Studio 2010 Service Pack 1 includes a number of enhancements and new features for MFC developers. 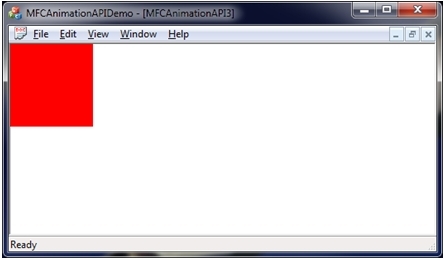 One of those changes is an animation API to make it easy for you to create animations in MFC applications. This article will briefly introduce this animation API. This articles was also posted on Codeguru.com. CAccelerateDecelerateTransition: The animated value speeds up and then slows down again. CConstantTransition: The animated value will be kept at its initial value during the whole transition. CCubicTransition: The animated value will reach the target value with a specified velocity. CDiscreteTransition: The animated value will jump from the initial value directly to the target value after a specified delay. CInstantaneousTransition: The animated value immediately jumps to the target value. The duration is always zero. CLinearTransition: The animated value will go linearly from its initial value to its target value over a specified duration. CLinearTransitionFromSpeed: Is similar to CLinearTransition, but instead of specifying a duration, you have to specify a speed with which the animated value has to go from the initial value to the target value. The duration of the transition is calculated automatically based on the specified speed. CSmoothStopTransition: The animated value will go from its initial value to its target value, but the transition will slow down towards the target value to reach the target with a velocity of zero. CParabolicTransitionFromAcceleration: The animated value will reach its target value with a specified velocity and acceleration. CReversalTransition: The transition direction will be changed smoothly over a specified duration. The final value of the animated value will be the same as the initial value. CSinusoidalTransitionFromRange: The animated value will fluctuate between a specified minimum and maximum during the duration of the transition. CSinusoidalTransitionFromVelocity: The animated value will oscillate around the initial value during the duration of the transition. The first parameter is the duration of the transition. It is the time that it will take to go from the start value to the target value. The second parameter is this target value. The next parameters are specific algorithmic parameters which have default values in this case. There is also a CCustomTransition that you can use if none of the above transitions deliver what you are looking for. It’s a bit more complicated to use. You will have to derive your own class from CCustomInterpolator and implement the InterpolateValue method and possibly a few others. CAnimationValue: Animates a single value. This could be used to animate a transparency of an object or a rotation of an object. CAnimationPoint: Animates a point. A point contains and X and Y coordinates. Both coordinates can be animated separately. CAnimationSize: Animates a size. A size contains a width and height, both can be animated separately. CAnimationColor: Animates a color. A color contains an RGB value. Each color component can be animated separately. CAnimationRect: Animates a rectangle. A rectangle contains a left, top, right and bottom value and all of them can be animated separately. The red color component will go from 255 (=start value) to 0 over a period of 2 seconds. The green color component will go from 0 (=start value) to 255 over a period of 1 seconds. The blue color component will go from 0 (=start value) to 128 over a period of 0.5 seconds. This animation starts with a rectangle with upper-left coordinate (0, 0) and lower-right coordinate (100, 100). The transitions will animate this rectangle to an upper-left coordinate (100, 100) and a lower-right coordinate (400, 200) over a period of 2 seconds using an acceleration-deceleration transition. The above code is first querying the animated rectangle about its current animated coordinates and the animated color variable about its current color value. After that it simply draws a rectangle with those coordinates and color. Working with the other animation value classes is pretty similar. The first line will add the m_animRect animation value to the controller. Because this is the first animation value added to the controller, the controller will create a new animation group and will return a pointer to this group. 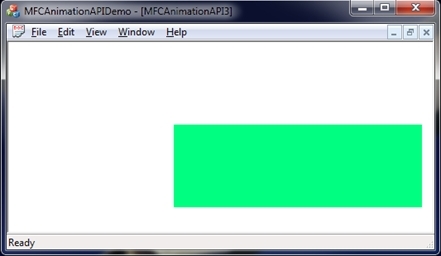 The second line will add the m_animClr1 color animation value. Because you are not specifying any animation group, the controller will add m_animClr1 to the same animation group as m_animRect . The last line tells the animation controller to not automatically delete the linked animation values. This is done in this case because our animation values are member variables of our class. Instead of defining animation values as member variables, you could create an animation value using operator new, link it with the animation controller in a specific group and tell the animation controller to automatically delete objects when that animation group is destroyed. This makes it easier to manage dynamically created animation variables. This article serves as a brief introduction to the animation API. The API includes some more advanced functionality like event handlers. For example, you could configure an event handler that will be called each time the status of the animation controller changes or each time a value of an animation value changes. I simply wanted to thank you for preparing this article. I appreciate your effort very much. Thank you for this good article and example. Can I add a image object like png or bitmap to the animation controller? The animation controller animates just some values like colors, points, sizes, and rectangles. You do with it whatever you want. For example, in my example I handle WM_PAINT, query the animated values and draw a solid filled rectangle. to render a bitmap in the animated rectangle instead. 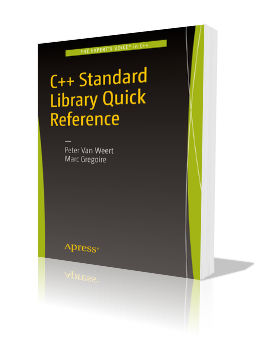 Founder of the Belgian C++ Users Group (BeCPP).